Most companies offer sick leave to full time employees, since nearly 80% of full-timers get some sort of sick benefit. If your company doesn’t, there are a few reasons you might want to consider writing up a sick time policy for your salaried employees. First, it makes it easier to deal with the legalities of exempt employee salary deductions. Second, the office is just healthier when sick people don’t come into the office and infect everybody else. It may seem counter intuitive, but paying an employee to stay home when they’re sick benefits your employees and your company a great deal. Employees don’t have to worry about losing pay when the inevitable happens. And happier employees do better work. It allows for salary deductions for exempt employees who abuse the privilege. Sick employees can infect the workforce. Sick employees can infect the public in certain types of jobs. According to the Bureau of Labor Statistics, sick leave benefits are slightly more generous in larger companies and depending on length of an employee’s service. On average, full time employees get 7 sick days per year for the first year of service. In companies with over 100 employees, those employees get 8 days. The number of paid sick days rises slightly with seniority as well. Making sick employees come to work does more harm than good. Even when huge projects need attention, sick people don’t perform well. Additionally, sick people make others sick and that brings productivity levels down even further. Having a sick time policy in place encourages people to stay home and rest so that they can get well faster and keep germs out of the office. Employees need to get paid. Without sick time, employees will usually just go to work anyway. Their work will be poor, they may make mistakes, and they will bring the bug to the office. In addition to offering sick time, you can make it a point to help employees lead healthier lives so that they get sick less often. Some employees figure out how to abuse the lack of a sick time policy. When salaried employees take excessive sick time and your company doesn’t have a fixed policy, your arms are tied. There’s not much you can do but sit back and watch your employees call in sick whenever they want. Unless you have a policy. The reason for this is that salaried employees are protected in most cases from pay deductions. No sick leave policy: While most full time salaried employees do have sick leave benefits, many of them don’t. That’s because it’s not mandated by Federal law and is only mandated by a handful of states and cities. Additionally, many employers think it’s too expensive to pay employees for time they’re not working. But the salaried employees who don’t have sick leave benefits can generally take sick time anyway. Since there are rules surrounding deductions to salaried employee’s pay what do you do with a salaried employee who gets sick and doesn’t have any benefit? In many cases, they end up getting the benefit by default. Employees that know this sometimes abuse it. 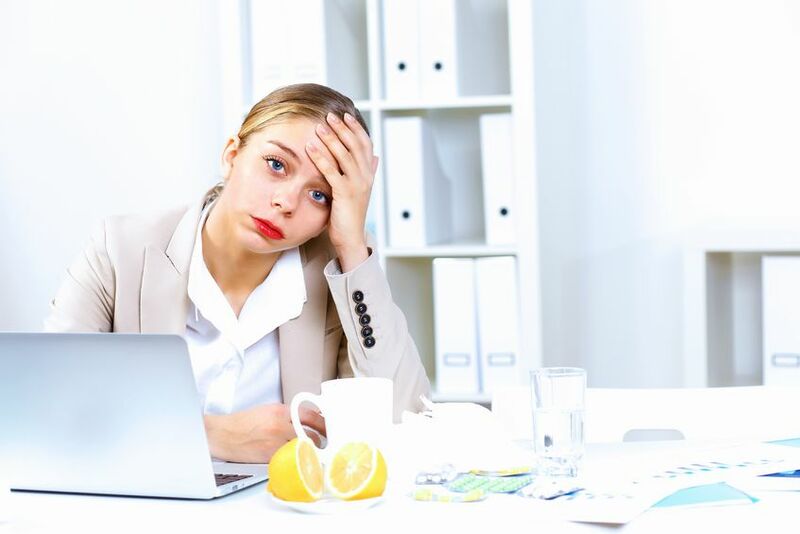 Unlimited leave policy: Additionally, companies who offer unlimited sick time have no legal way of making deductions to the salary of an exempt employee who takes “too much” sick time. According to a recent survey by the Society for Human Resources Management, 3% of companies offer unlimited paid sick time. This could, potentially, be a problem for a big chunk of workers. The reason that you can’t generally deduct a salaried person’s pay is because exempt employees don’t make overtime – they are exempt from making overtime. The presumption is that they work more than 40 hours a week due to the type of work they do. So there can be a little give and take in their total weekly hours. Since they don’t get overtime for the weeks during which they work over 40 hours, you can’t dock them pay for the weeks during which they work fewer than 40 hours. An employer can deduct from a salaried employee’s pay under certain circumstances. Salaried employees don’t need to be paid for full workweeks in which they perform no work. Partial day absences may only be deducted from an employee’s sick or vacation “bank”. Once that is exhausted, partial day absences cannot be deducted from an exempt employee’s salary. Full day absences for personal reasons may be deducted from an exempt employee’s salary if there is no vacation time in their time-off “bank”. If the employee misses a full day’s work due to illness, the employer can dock pay after the sick leave allotment has been exhausted. But this is only possible if there is a fixed sick leave policy in effect. If an employee takes sick time and there is no policy in effect, then because of the nature of a salaried employee, the employer cannot deduct the day from the employee’s salary. Even if it happens frequently, the employee is protected. Similarly, if an employee has unlimited sick time, the employer cannot deduct it from the employee’s salary because there would be an inexhaustible number of sick days to allot to the absence. Even if the employee takes time off frequently, the employer could never deduct it from the employee’s pay. Tracking sick time is easy with a Timesheets.com account. Each employee has their own time off settings. The manager selects which rate to use and how much time off employees should receive. Then, all employees have to do is make their time off requests based on their available balances. See how easy it can be to track sick time. Do Vacation Hours Count As Overtime? Next Post Why is Your Payroll Bigger Than Expected? Peggy, I have some questions around Exempt employee status and employer deductions. My company has a defined Sick Leave Accrual Policy. I frequently work overtime as an Exempt employee. Since I am a salaried Exempt employee I of course do not get paid anything additional for that time. Conversely, anytime I have a doctor or dentist appointment I am have been instructed to schedule those appointment after business hours or on weekends, when possible. In the event I DO have to take time for those dr or dentist appointments during regular work week Mon-Fri 7:30am-4:30pm work hours, I am told that I must do it during my lunch hour. Whenever that happens and I take longer than 1 hour OR if I only can go to the doctor or dentist during non lunch regular business hours I am supposed to log those hours on my time sheet (yes, we do time sheets for ALL employees, exempt and non-exempt) and deduct from my accrued sick time. Example: I have a Dr. appointment on a regular work Monday. I am away from my job from 9am – 11am attending the appointment. I am required to deduct 2 hours of Sick Pay from my Accrued Sick Pay Bank. Yet, if I work 50 hours that same week I do not get any additional pay because I am exempt. Is this practice in violation of FLSA or any other statutory regulations? I would like to see a response to this as well. As an exempt employee, your employer cannot make monetary deductions from your paycheck for a few missed hours during a regular workday and, in your case, the employer is not doing this so they are not in violation of exempt employee deductions. Requiring that you mark your time away as sick is reasonable, as is not getting paid overtime. As long as you’re getting your full salary each week, all should be well. Hi. I was hired on as salary employee, with the understanding that I would not be paid overtime. I work 40 hours in the office but nearly double that from home. The past year I have been suspended without pay for 3 days, and docked pay for any day I was out sick. There is no employee handbook, and no signed contract stating anything. I feel like legally, if I do not get paid for all of my hours worked outside the office, that I should not be deducted for days missed either! The boss picks and chooses policy used for hourly employees and exempt salary employees!! I have a question, I am a salaried employee and I work 60 plus hours a week, where I work there is not paid sick leave. If I take off a day because I am sick the pay for that day is deducted from my pay check. I have been home sick and managed my job from my phone and that days pay was still deducted from my check. Can this be done? You should talk to an employment lawyer about it. Deductions on salaried paychecks may or may not be allowed. I am an exempt employee and want to know, if i am home sick and still respond to emails from my boss, can my pay still be deducted for those days missed? I have not scene nor have i signed any sick leave policy. If I work at least 40 hours during that same week, I would not consider this reasonable. Reasonable as far as the law is concerned… Even legal employer practices aren’t always “fair”. Talking to a lawyer about it might help you know what to consider when looking for a new job in the future. Fair enough. Thank you for the clarification. Our company has a sick leave policy in place for exempt staff. If an employee has no remaining sick days and ends up needing a sick day, we can dock her salary by one day? I am an exempt salaried employee and work in the medical field ,my office has been closing on a few occasiona this past few months due to my doctor being out ill and I was informed that I must use my pto time for this , I work all year to get my vacation time work thru lunch and often stay late .Can I be made to take my earned pto ? I am not requesting time off I have no choice if the company closes the office but they say I have to use it ? I am not a lawyer and so you should look into this further with an employment lawyer but here is a statement from the DOL that should get you on the right track in your research. I am a salaried employee who puts regularly 12/14 h a day and was sick home with fever two days . My employer deducted them from my pay . Is that legal ? I am a salaried employee and I work mostly in the office but I’m available by phone or email. They now have us punching in and out from work to track our hours but they are not tracking the work time away from the office? If they want to track time should they be tracking all of your time work? Also they only have some salaried punching in and out like supervisor and managers but director and above don’t is that correct? Directors don’t usually clock in and out so that’s pretty normal. If you are working at home and are hourly, you should clock in and out at home too. If you don’t, then you shouldn’t be working. If I am an exempt, salaried employee that has worked 38 hours from Monday to Thursday and I call out sick on Friday, how would sick time hours be logged for my sick time bank? 2 hours to equal 40 or 8 hours because the business is open 8 hours that day? BTW, we are in AZ with the Paid Sick Leave Law going into effect July 1, 2017. Hi Jynnifer. Generally, sick time is deducted based on how many hours you typically work in a day. So if you usually work 8 hours and you’re out the whole day sick, then 8 hours would be deducted. But if you only work 40 hours a week and go home when you reach 40, you might come up with another arrangement with your boss. I am an exempt employee who works close to 50 hours a week. Often times when I call in sick my boss will email or text me to ask things about work. I wind up working from home on those sick days. Is that technically a sick day? Should it be counted as such and are there rules that address this situation? Hi Aileen. If you have a set number of sick hours to use per year, then hopefully you can just use only the hours you actually took off during a day, rather than saying you were out for an 8 hour day. Or simply not work at all! You can recover faster with rest. You should try talking to your employer about it. My boss says im salary paid but does my time hourly. She makes me clock in and out showing 8 hours even if I worked 10. She all of a sudden said that I have to work 40 hours to save 2.5 hours for leave time. I’m taking 5 days off for my son who has epilepsy and is having surgery and she’s telling me she won’t be paying me for those days missed because I haven’t had time to store any leave hours. I’ve been salary paid for a year now and she decided to start this this week. Can she do this? It depends on what is in your contract or employee handbook. Was your first year the probationary period? If we give vacation and sick time for our exempt salaried employees and they use all of their time (they never work over 40 hrs) and the employee comes in the office with the flu for even 5 minute its my understanding we have to still pay them…with that being said my staff knows this so when they are “out of time” they still come in sick, stay for 30 minutes then say they are too sick to work and have to leave knowing they are going to get paid. So I put a stop to this and told them to not come to work if they are sick, plus the other staff members are getting upset because when the employee does this just to get paid and also are putting the other staff members at risk of getting sick to. So am I ok to tell them to stay home and not come in sick and contagious and also not pay them for that day? I think this would be a great question for Ask a Manager! I am not certain about the legality of this so I don’t want to say, though it seems like what you propose should be fine. I just ran across this post. We have the same problem as Dana of a few exempt employees working 40 hours or less per week, yet coming in sick for a brief time so they don’t have to use their vacation time. If you have a PTO or sick leave policy, you may require them to use that time. However, if you have a vacation policy (full days of vacation), then you must pay them for any partial day absences due to illness. Most know this and there are always a few who take advantage of it. Exempt employees are paid an annual salary for performing their work, not by hours worked. Deducting a full day of pay is also illegal except in certain instances outlined by the FLSA. Even if exempt employees run out of vacation/sick days and miss a full day of work for illness, weather, jury/witness duty, etc., and other than the first and last weeks of employment, they must be paid for the full week. If they have no leave to pull from and taking a vacation or personal day for other than sick or other reasons mandated to be paid, then you may deduct from their pay but should have that stated in your handbook in advance. PTO is the safest way to go in such cases and even though you can’t dock their pay, you can discipline and fire them for attendance issues. I am an exempt employee, recently I fractured my ankle. My employer wants me to work from and use my vacation time for the 2 weeks i have medical leave. If I am still working from home am I required to use my vacation days? I do not mind using the days if I was not required to work from home. I’d rather just take the 2 weeks off. In general, if you’re working and clocking work time, you’re not taking vacation time. You either work or you take time off, not both. Now, maybe you work 6 hours from home and take 2 vacation hours, etc. I am the payroll manager for a business located in a county where a paid sick leave ordinance was recently enacted. Historically, our few salaried employees have always been allowed to take absences, for any reason including illness, as needed. These employees then work a bit extra to catch up on missed work as necessary. There is no interruption in pay as a result. When this type of employee takes time off for an illness, should I deduct from her sick leave bank? Financially, it doesn’t seem to matter since she is paid no matter what. Hi Rachel, it sounds like you might want to keep records for compliance reasons. But I would suggest contacting local authorities to be sure. I am salary and we have personal and vacation time. Our office closed early and they want me to use 3 hrs of my personal time or they will dock my pay. Can they do that? Docking the pay of a salaried employee is more problematic so you might want to contact a lawyer about that and look into getting unemployment benefits for the time you are required to take off. Let’s say I have Dr. Appt. at 3:15 (we close at 4:00) and I choose to skip lunch at noon and take lunch at 3:15-4:00 to accommodate my appointment. Then no “sick time” is deducted from my banked time. That part is simple but does that also work with full days and more hours missed like below example? So my question is, does this mean our sick time is based on a 6.75 hour workday and not a 7.5 hour workday because .75 hour of it is lunch? Example: I get sick at work and leave at 12:00. Came in at 8:30am. So to account for this in sick time, I would count my lunch from 12:00-12:45 and sick time begins at 12:45. And if I take a whole day off, I should only deduct 6.75 hours from my sick time and leave out the lunch time of 45 minutes? Yes? No? That’s a good question and one only your employer could really answer since there is no written policy on this. I feel like your thought process is logical but since it’s a paid lunch, it might be fair for your time off to reflect a full day. Again, only something your employer could really answer. I live in SC. I am a salaried, exempt employee. I do not have a sick pay “bank” but I do have a vacation pay “bank”. I was out sick from 11/30-12/7. I already had a personal day for 12/8. I sent my supervisor my doctors excuse saying that I could return to work on 12/11. But on 12/8 I was told that I needed an excuse stating I was “healthy enough to return to work”. I didn’t understand this since they have never requested this before and I had previously provided my excuse. I was not able to return to work until 12/13 because it took me a few days to get the second excuse. I was deducted a day from my pay. My questions are: if I don’t have sick time can my employer use my vacation time to pay me? Can my employee deduct my time for the days I was out getting another excuse, when I was ready and able to return to work per my first excuse? Your questions are worth posing to a lawyer. Your thinking sounds clear to me but I am not qualified to give legal advice. My husband works for a large company. He is a driver and delivers to grocery stores. He got sick at 2 am Monday morning, and called in right away, with a stomach flu and he was told that because he didn’t call on Sunday at 3pm his pay will go from 33 an hr to 15 an hr for the 2 days he was sick. Is this legal? You should ask an employment lawyer about this. I am an exempt employee. They just started docking our sick leave accruals when we r on vacation? Is that right? My company does not have a sick leave policy. I am a salary employee. I never miss work or call in sick. I called in last week when I got sick and had to go to the doctor. I missed two days of work. When I went back to work the next week before pay day my boss told me she was taking my vacations days for the two days I was out. l was never told that my vacations days would be taken when I became salary employee.. Nothing verbal or written. Manager never told me when I called in that I had the flu that she was demanding to take my vacation days. She told me do not come to work you are sick and stay home. The bam out of the blue ..you will loose 2 vacation days. Is this legal since nothing was written and given to me or was I ever told that is what she was going to do. Hi Peggy, I am an exempt employee working in San Francisco CA. My company offers 5 days paid sick leave and 80 hours of PTO per year. During the peak season, my company requires all the exempt employees to work a minimum of 58 hours a week (10 hours from Monday to Friday and 8 hours on Saturday) for about 2 months. If I took 1 or 2 hours sick time for a doctor appointment during the weekday or I was sick and absent on a Saturday, can my employer deduct my sick leave or PTO hours from the leave bank since I have worked more than 8 hours a day or 40 hours a week or the deduction should be based on 58 hours of work week during those 2 months? Thanks. So it seems to me that this issue is based on a salaried employee’s schedule, whatever that may be, and not on an hourly employee’s 40 hour workweek. I am an exempt employee who is in the probationary period. I have not accrued any sick leave or PTO. I was sick 2 days last week. Will I still get my full weekly salary? My question is related to our exempt employees. These employees take time off and come and go as they please through out the week. They adjust their time to maintain a 40 hour work week if they approach anything resembling overtime. However, we do have a sick leave policy but I have never seen them use their sick or vacation time to cover any hours under the required 40 hour minimum they are paid for. Should they be required to use their sick and holiday time to cover their absences when they work under 40 hours a week. Again they do not work overtime at any time. They policy says sick time must be taken when out sick but does this apply to exempt employees who are paid regardless of they number of hours they do or do not work? I’m trying to come up with a fair PTO policy that includes sick and vacation time but it doesn’t sound like that’s going to be possible. Where should I go to verify before writing any policies? Company I work for has a set sick policy. My employer however has deducted time from my exempt paycheck (1 hour) for time not made up the rest of the week for a partial day absences. The following month on a week I worked a full 40 hours, they marked my paycheck with an hour of sick leave, I was paid for the full 40 hours no deduction. If I had sick time left over, why would they dock my pay? There are several inconsistency Vacation time being marked as Sick Time Sick Time being marked as holiday. Approved days to make up at a later date marked as sick time. Etc. I feel like there is no rhyme or reason to how this person enters information. I have a question. I am a salaried employee working for over 5 years for the same company. Just this year they paid me sick time and vacation additionally to my salary. Is this a mistake, or were they supposed to pay me for those benefits also on the previous years? Sick time is required by law in some states, like California and New jersey for example. If your state hasn’t passed sick time law requirements, you may want to look into your work’s time off/paid time off policy. Do you have one? If not, you may want to speak to your manager about the situation.